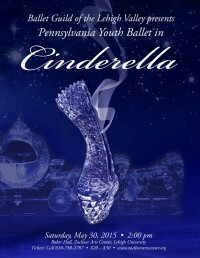 Tickets for “Cinderella” now on sale! Click here for the link to purchase yours now! 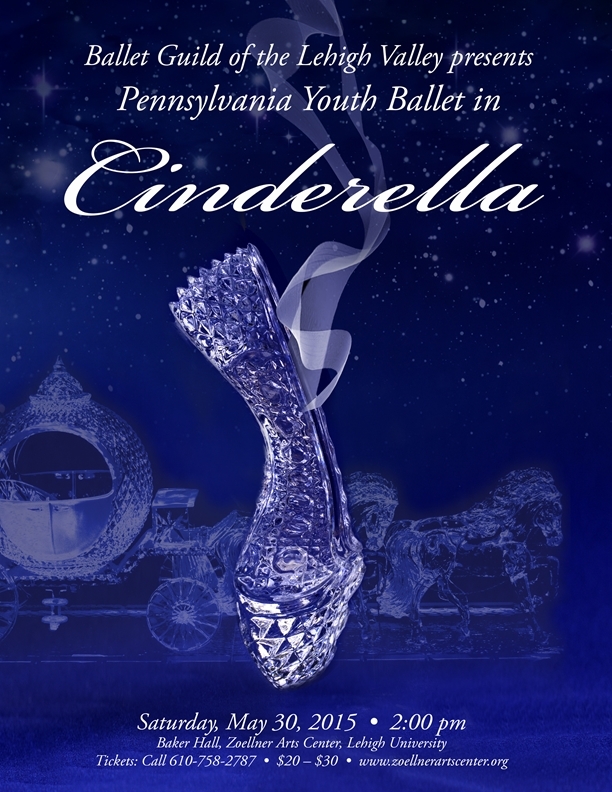 This three-act ballet, with timeless music by Sergei Prokofiev, is choreographed by Artistic Director, Karen Kroninger Knerr, and features Pennsylvania Youth Ballet dancers, as well as guest artists and adult community volunteers. This romantic tale contains some comedic tones – in particular, the roles of the ugly stepsisters traditionally played by men – and is sure to enchant the audience with its beautiful dancing, glorious costumes, and haunting music. In the ballet, Cinderella’s traditional “glass slipper” is actually a pointe shoe! A party – Cinderella’s Ball – will be held following the performance at Zoellner Arts Center. Tickets for the party and the performance may be purchased from the Box Office. Join us for a very special, magical, fairytale day!